The launch of Message Systems Momentum 4 was announced, the latest version of their cross-channel messaging platform. 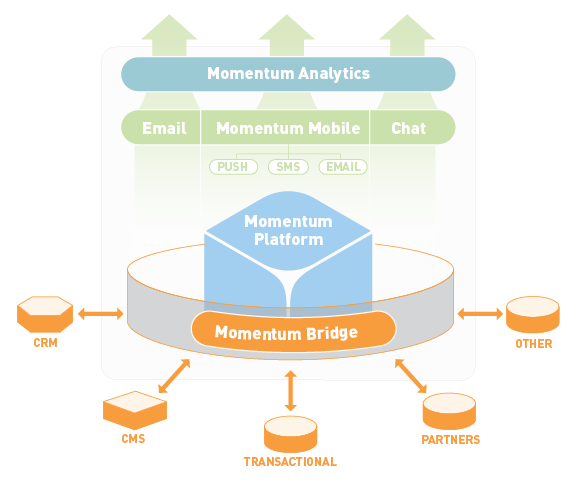 With Momentum 4, Message Systems digital messaging platform now provides real-time insight into engagement data, adds cloud-enabled APIs, message generation and templating for their digital messaging software for cloud-based businesses and large enterprises. Momentum 4 provides marketers and email delivery professionals with real-time access to messaging and engagement data through a redesigned user interface. Users can now view the success of their campaigns, export data for analysis, and take immediate action instead more easily directly through Momentum 4 instead of waiting for reports from providers that may not arrive until days later. According to Message systems, this reduces the expense and costly delays associated with delivery problems and performance issues that can result in blacklisting, wasted hours poring through log files, and the need for direct outreach to ISPs for resolution. Message Systems already sends more than 2.5 trillion messages a year — 20% of the world’s legitimate email according to the tech company. Several new email and data APIs including injection, stored template and aggregate reporting APIs are now supported. Organizations that would have build connectors manually in the past, won’t have to. The addition of new message generation and template management capabilities to the platform now lets marketers take control of their brand consistently across all digital messaging operations without requiring developer support, while engineering focuses on calling the appropriate APIs. 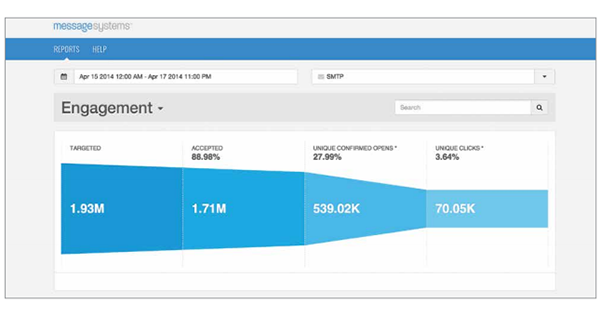 Message Systems Momentum 4.0 integrates with many enterprise CRM, CMS or BI applications. Message Systems is a provider of email infrastructure solutions like PMTA, Sparkpost and Momentum for companies with large volumes of email.